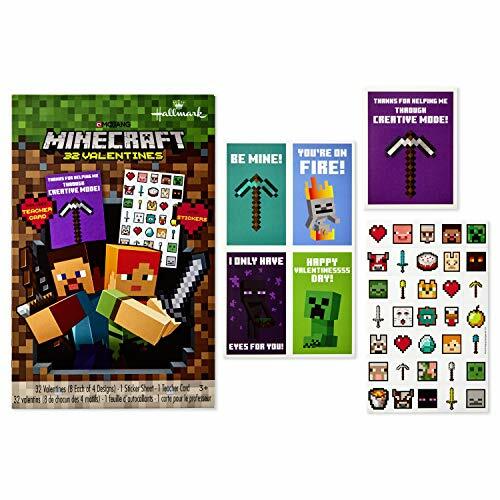 Amazon has the Hallmark Minecraft Valentines Day Cards for Kids (32 Valentine Cards, 35 Stickers, 1 Teacher Card) priced at $2.99 with free shipping. Kids Valentine’s Day cards kit makes it easy to exchange valentines with the whole class (including your teacher!). Perforated, tear-apart Valentine’s cards, teacher card, and a sheet of 35 stickers have modern designs featuring favorite Minecraft characters.